With a strong element of social awareness, Tere Mere Beach Mein is a cut above the run of the mill talk shows. Each episode is based on a particular theme and the discussion features guests from different walks of life. The common person coming on the show shares his/her story that has striking similarity to that of the celebrity and will be gratified by Farah & the celebrities that would help to fulfill their aspirations or settle some issues. The first season of the show featured some well-known celebrities like Priyanka Chopra, Shahrukh Khan, Kareena Kapoor, John Abraham, Irfan Pathan, Yusuf Pathan, Vijender Singh, Shahid Kapoor and several others. The first episode had Salman Khan, who appeared with his mother Sushila Charak Khan, while the last episode featured Shahrukh Khan. 8 Karan Johar and Sonam Kapoor Weighty issues- Both lost tons of weights. 9 John Abraham and Yuvraj Singh Male Eye Candy - Very hot bachelors of today. 11 Asin Thottumkal and Deepika Padukone Josh Jawan Hindustan Ka- Good career or establishment at the little age. 12 Neil Nitin Mukesh and Abhay Deol Freedom- Were free through childhood. 13 Shahrukh Khan Joru ka Ghulam- his personality and his life. Each episode of the show revolves around a theme. The celebrity guests invited are those who suit the theme. What sets the show apart is the last segment of the show, namely Main Hoon Na, which connects the celebrities to the common man. A common man related to the topic is also invited and given a chance to come and share his story. Some of the interesting themes have been ‘Mamma’s Boys’ featuring Salman Khan and ‘Ghar Ka beta’ featuring Bipasha Basu and Shilpa Shetty, who have been like sons to their parents. Others were like "Second Chance" featuring Shahid Kapoor and Genelia D'Souza and "Joru ka Ghulam" featuring Shahrukh Khan. The guests also receive donations for the charities they support and bring their personal belongings to be auctioned for charity. 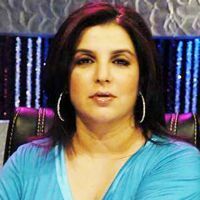 Tere Mere Beach Mein was a celebrity chat show, hosted by Farah Khan, the ace choreographer and director from Bollywood. It premiered on Star Plus from August 23, 2009 and aired on Saturday and Sunday every week at 9:00 PM. The show ended on October 10, 2009, after completing 13 episodes.